The local search market is growing rapidly with over 30% of all Google’s searches now having local intent. Having high rankings in your location for your products and services is vital to building a local presence that attracts more customers, phone calls, enquiries and sales. 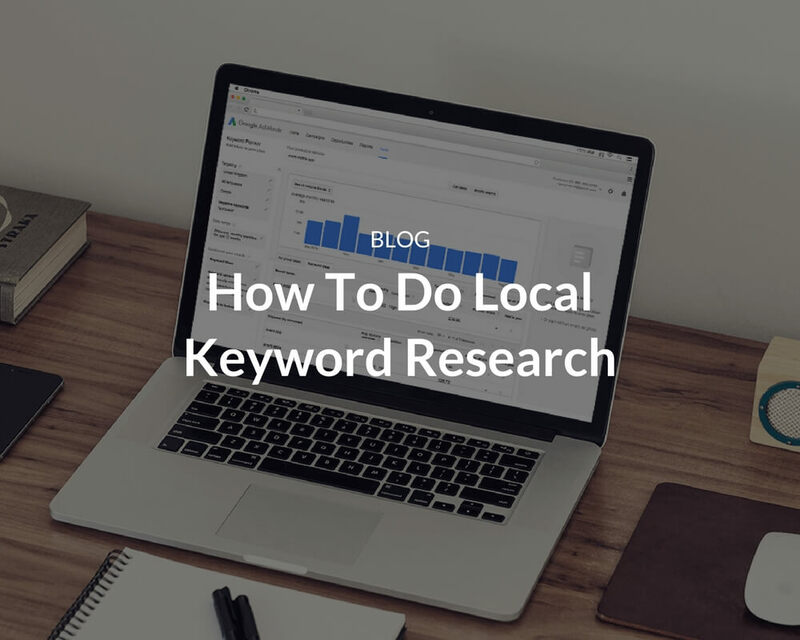 To find out what keywords customers are searching for in your local area, you need to first break down what services they want, and what services areas they are looking to find these services. a) Think of what services your customers are looking to use. b) Think what service areas your customers are looking to find the service in. The best place to start is to write down a number of services that you think your customers will be searching for. How would you search for them? Then write down the areas you think are the most important. Make 2 columns – one for services, one for service areas. Some of these that are ranking well already will have a number of keyword variations for services and services areas that you may not have thought of yet. Add these new services and services areas to your master list. You should have Google Analytics installed already – if you don’t – DO IT! Dig up your keyword traffic figures over the past 6-12 months and see what some of the longer tail keywords have sent you traffic. You might find a few more services and keywords you hadn’t thought of before. Google Adwords is a great platform for running pay per click advertisements in your local area. It can be extremely useful for working out what the actual search volume and competitiveness is for your keywords. Run a small campaign using the keywords that you think are going to be the most valuable. Now you should have a nice list of services you offer as well as services areas that you cover. My previous post about how to use the Google Keyword Tool explains how to do this. Plug some of your main keywords into this tool and see if you can come up with any new suggestions. Now you’ve done your keyword research, what’s next? The next step is to group your keywords into ‘buckets’ of similar services and service areas and then create pages (and content) around each service using KW and location in the page title (please tell me you have a website!). 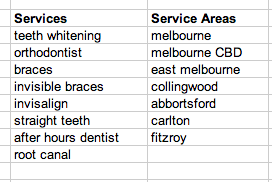 For the orthodontist example, you might want to create a page called “Invisalign Treatment in Eastern Melbourne” with the url looking something like /invisalign-treatment-east-melbourne. The content on this page should then reinforce the service and the service area by mentioning them in the headlines and content. Do you have an actual business address or do you just operate in those areas? If you only operate in those areas, you can’t create separate map listings or Google+ Local pages for those locations (Google isn’t currently supporting multiple location pages on the new Google+ Local like they used to on Google Places). This means you can rank organically but wont show up in the google map listing areas. To address this issue, you should do similar to what we mentioned above about creating pages to target those areas and services in those areas. Rank checking for Local SEO can be challenging due to localisation and personalisation of search results, ranking in maps vs organic vs blended search results. A good way to do this is to manually check 5-10 of your keywords by signing out of your Google account and adjusting your location preferences. This way you can see first-hand what the search results look like. Are they map listings, organic or blended? 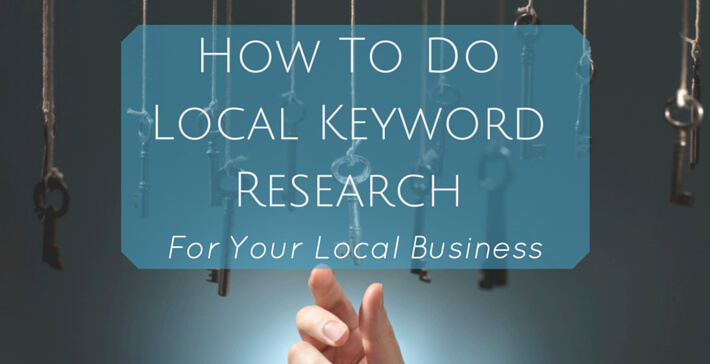 Conducting keyword research for you local area is just the first step to local SEO success. Thanks for the post. 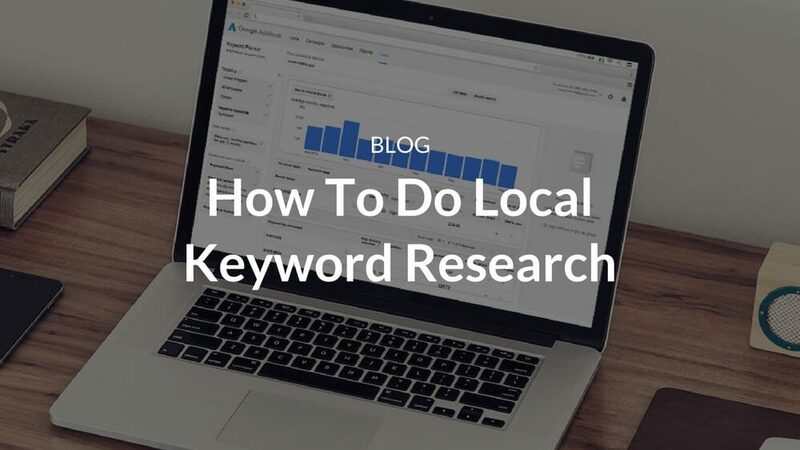 I have written a post on the same topic whose title is” How to do local keyword research for regional business”. You can review it. The details in your post is really good particularly the explanation given on focusing on the services for the dentist. The section explained on Local seo success is also relevant to all the other topics discussed in my blog. I would like to follow your blog for more interest posts on local search marketing. Hi Enna, I had a look at your site and there’s some great information on there – thanks for stopping by!